The thing is, when I went to film on Dragon’s Den, my app had only been out for 8 months. Even though I hit some cool milestones and had some traction, it was not a $2 million business. I panicked and came up with idea that we would pivot to a business where brands could purchase videos from our creators. You see, the entire reason why I created Life Lapse was so that people could easily create their own videos from their phones. Because I knew my business wasn’t an appealing investable business when I went on the show, I pitched this new vision. If I’m being honest, I didn’t believe in it, so I don’t blame the Dragons’ for turning down this deal. After filming on Dragons’ Den in May of 2018, I picked-up my shattered ego and dreams decided to use this experience to fuel the growth of my company. As I female founder, I couldn’t be more excited to celebrate International Women’s Day! I am delighted to share with you 5 females who are absolutely killing it in the stop motion space. I have been following these women on the ‘gram for some time now, their videos and creativity are a constant source of inspiration for not only me, but many others in the content creation community. We all know that “Behind every successful woman is a tribe of other successful women who have her back”, which is why I reached out to these leading stop motion creators and asked who the most influential female in THEIR life is. Last week Instagram released a new feature that allows you to publish a 1-minute preview of your IGTV video straight into your feed. I tested this new feature out on the Life Lapse Instagram page and saw 4x the engagement compared to our other IGTV videos. Publishing your IGTV videos will require strategic planning of shots while you’re editing that first 1 minute of your video. Overlaying the PNG file will allow you to see what the video will look like when the 1-minute preview is posted to the feed, so you don’t have to do what I did and upload 3+ times. Watch the video above to see how I edit with the IGTV crop guideline for my video + cover photo. In the PNG crop guideline, there is also a “Grid Thumbnail” 1x1 ratio so you can plan your IGTV Cover photo. Just overlay the image in photoshop to help you plan your image. If you don’t upload the cover photo while you are uploading the IGTV, at the moment there is no way to go back and change this. I don’t foresee this coming any time soon either because the video has been on Instagram feeds for years now and you still can’t go back to change your video cover photo once you’ve posted it. Once you hit “send” you will need to confirm your email address, if you don’t see the email, please check your spam folder. Once you hit “Download” you will need to confirm your email address, if you don’t see the email, please check your spam folder. Life Lapse showed the Nordstrom Canada team how to use Life Lapse to create fun looping videos for the @NordstromCanada Instagram account. Here’s the stop motion videos that we created! Nordstrom’s newest Pop-In@Nordstrom featured Away suitcases, so we create a couple difference videos for them to post on their instagram stories & feed. Do you want 1 on 1 coaching to help you create engaging stop motion videos from your phone? Shoot me an email at hello@lifelapseapp.com and I’d be happy to provide a 15-minute complimentary conference call or a 30 minute in-person consultation (for Vancouver Area only). We got you covered this Valentine’s Day with 6 free Instagram story templates. Ditch the stock photos and stand out with animated videos, all of which were created on an iphone with our free stop motion app, Life Lapse! All the videos below can be saved to your camera roll then uploaded directly to Instagram Strories. If you want to get extra creative with the videos, we recommend using the app Unfold to personalize the fonts/ layout/ messaging of your IG Stories. 1 - To access the Free Instagram Story Template videos for Valentine’s Day, fill out the form above and we will send you a link to download the videos. 3- This will take you to a google drive folder with the 6 videos in them. You will need to save each video individually. Click on the 3 dots beside the file name, click “Send To” then “Save Video”. 4- This will save the video to your camera roll. To get it from your camera to Instagram Story, go to your profile. On the top left hand side, you will see your profile picture with a blue plus sign. Click on that. 5- IG stories will automatically open their native camera. To upload the free stories template, swipe up. This will give you access to your camera roll. 6- We love using other instagram story app’s like Unfold. Thankfully, they are video friendly. You can use their custom layouts (like we did in the above videos) to customize your Insta Story. I met Marissa at my first “big girl job” midway through my career while I was working for an e-commerce eyewear company, Clearly/ca/Coastal.com. I worked in Marketing creating video content for their social media/marketing campaigns. Something that we did a lot at Clearly.ca was profile people that were up to cool things and if you haven’t noticed, I am doing the same with Life Lapse - because, selfishly, I love digging into the brains of these badass entrepreneurs! I FUEL OFF THAT. We did an eyewear campaign with Marissa at Clearly.ca. (It’s still up, you can see my mad filmmaking skills here, haha). Needless to say, Marissa and I kept in touch after that shoot back in 2015. Back then, Marissa was focussed on designing planners & journals. Over the years I have been following Marissa and have loved seeing the progression of her business grow. She has been through a re-brand, has now jumped into the world of purse design (see photos below of her stunning minimal approach) & most recently successfully finished a kickstarter campaign (she went over her goal by 50%!!!!). Read the interview below to see how Marissa has been using stop motion in her social media marketing. Also, if you’re ready to end the relationship with your current handbag so you can spend more time getting things done or want a beautiful planner, visit Marissa’s online shop! Hey Marissa, please introduce yourself and give us some insight into what you do! My name is Marissa and I am the founder here at STIL. My love for organization started when I was 10 years old collecting notepads. Growing up in Switzerland, I was introduced to the world of minimal design at an early age and that appreciation has stuck with me ever since. Today, I run STIL and am heavily involved at every level of the business. I've now successfully launched 2 Kickstarter campaigns and was recently nominated for a 20 ON THE RISE Award in the designers category. I design all packaging and product, manage photo shoots, social media and connect with my amazing customers on a daily basis. STIL is a company built by and designed for women with busy schedules. With a focus on simplicity, our organizational products can be used in many wonderful ways to fit your life path. You started out creating daily planners, what inspired your to get into purses, clutches & wallets? It was a natural transition for STIL. We are about organization at the core and that expands into all aspects of life, not just what happens on your desk. What inspired the idea was my own life and the things I used everyday that I felt could use a little re-inventing. Why is a minimalistic design approach important to you? It's important to me because that's what I grew up surrounded by. I lived in Switzerland for the first 14 years of my life so I was constantly reminded that simplicity and minimalism was the only way of life. Currently I do photoshoots once a week feature a combination of new product and products that have become staples for STIL. We then use those photos across all platforms: instagram, email newsletters, pinterest and so on. We shoot mostly in the office and sometimes at my apartment when I need different props. It's still instagram but more and more I am leaning towards Pinterest being my favorite because I'm able to connect with my customers in a different way and they are able to check out directly on the platform which I love. Can you tell me about the process of how you created stop-motion videos prior to Life Lapse? How did you shoot & edit it? We've only done 2 stop motion videos before using life lapse and we used an overhead tripod that was set up on my kitchen island with a backdrop. We had everything linked to lightroom so it was just a matter of pressing the space bar to take our photos. The process was definitely more tedious. How did that process compare to using Life Lapse? Not having to set up the tripod, lightroom and the camera is a huge time save. When I decide I want to start using a new process the only way I will stick to using it is if it saves me time which Life Lapse definitely does. I easily created a quick stop motion video yesterday before I left for the day and that was awesome! I downloaded it to check it out at first but realized very quickly that this could really change the game for our instagram feed! I use it to create stop motion videos for our products! Yes it is very easy to use and intuitive. No issues at all. I love that it shows you the stop motion video immediately after you take the photos so you can make adjustments right away and erase any photos that don't look like. I also LOVE the ghost function. That has come in handy every single time. How do you plan to integrate stop motion into your marketing campaigns? We plan to use them on social, our email campaigns and potentially some ads once we start doing campaigns for the Holiday season. For anybody else reading this in marketing/ content creation, why would you recommend them to download Life Lapse? Yes absolutely! Everyone here in our office has already downloaded it because they love it. If you're in content creation this app is an absolute must! Where can people follow you & buy your beautiful products? Instagram finally made an update which is beneficial for accounts that post a lot of video content: you can now tag accounts in your videos! Now, I don’t mean just “@-ing” them in the comments, I mean actually tagging them in the video. Previously this function was only limited to photo & carousel posts. So what’s the difference between tagging in the description or comments versus in the actual video and why does this matter? When you tag somebody in the description or in the comments of your post or even somebody else’s post, the user that you @ will get notified. The issue with this, if you @ them in the comments/description and the user gets a lot of notifications, it can easily get lost and hard to retrace to see what was tagged. Here’s why…Instagram doesn’t let you infinitely scroll through your history of notifications so it’s hard retrace and find a video somebody just “@-ed” you in the comments/description. For example, if somebody @’s @LifeLapse_App in the description of their video and I check my notifications on a Saturday, unless I bookmark that video, it will be very hard for me to go back and find cause I can’t go back to Saturday’s notifications a couple days later. So there was no way for me to find that video unless I bookmarked it OR the person just so happened to also hashtagg #LifeLapse. WITH TAGGING….I can go to my profile and click on the tagged icon to see all the videos Life Lapse has been tagged in. VOILA!!! You now have a more organized way to keep track of people tagging you in their videos + have potential to get MORE REACH on your videos! Thank you Instagram for finally bringing this feature to Videos!!! When I saw Erica tag Life Lapse in one of her videos, I went down the rabbit hole of instagram creeping on her super cohesive & artsy feed. GUILTY. I knew immediately knew I had to reach out to see if she would be interested in being featured on our blog and as you can see, she kindly agreed! My name is Erica Moon. I was born and raised in New Jersey, went to RISD and graduated this past summer, 2018. 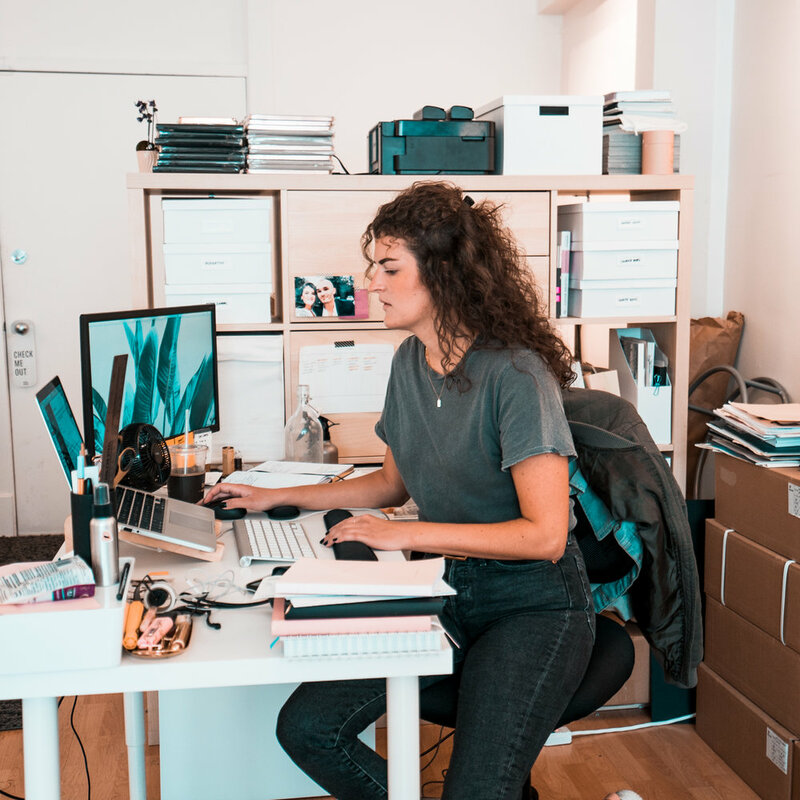 I am a full-time intern working with the Creative Services team at Refinery29. What are your favourite type of projects to work on and why? I enjoy more documentary as well as music video work. I got into documentary by being a camera assistant for a wedding company, and through that, I became intrigued about trying to tell the right story with the kind of content you capture at a specific moment in time. I love how with music video, anything goes. For music videos to work successfully, editing takes a significant role in making it come to life. What inspired you to get into video creation? Honestly, EDM after movie videos got me hooked into video creation. I loved the way those videos made me feel like I was there at the festival, and compelled me to go even more. I am a big EDM fan, and my hopes and dreams are to get into the industry and make either those fantastic after movies or to be the mastermind behind the visuals shown on stage. Making visual content that can be shared online is an extraordinary way to connect with people all around the world. Your audience can watch it anywhere at, and I think that tool is very powerful and inspiring. I assume you often use DSLR's to create high-quality video's, why do you love creating video on mobile? I actually don’t own any DSLR’s! I guess I like making videos on my phone is because it’s always conveniently right there. I tend to be very spontaneous and being able to look back at moments that I did not prepare for, makes it unique. Plus, I like to carry light. With the rise of video on mobile (insta stories for example), would you say your approach to creating compelling videos on fly be impacted by this? Being spontaneous, having a small, great camera phone and being able to edit all in the same place makes it easy and fun. I definitely feel more creative that way as well. What is your favourite social media platform to share your work on? My favorite social media platform to work on is on Instagram. I’m a huge pop-up museums. I think that creative space and environment sparks creativity for me to make unique content. I was interested in making something different. I wanted to make things that are interesting and unique. I thought Life Lapse was just the tool for that! I use Life Lapse for just making intriguing content for my Instagram posts. Also, help in producing fun content for friends too. I love how it is an all in one app for an animation video app. You take your pictures, edit them, as well as add music to it. All in one place, I can make a quick short music video! It raised my likes and views on my Instagram for sure! Everyone right now is on the disposable film look right now, and Life Lapse allows me to stand out, be unique, as well as make people wonder how I made my videos! I love how Life Lapse is intimate and genuinely cares about the users. LifeLapse have DM’d me about any suggestions and thoughts about the app. I really enjoy that I am speaking to the creator of the app and I have never had that happen with any other apps I’ve used before! It makes me feel like as a creative user, I matter and makes this app stand out from a lot of other videos creating apps. I’m all for it! We sat down with start-up, Friendly Universe, to find what how they’re creating engaging content for their social media using stop motion videos created with Life Lapse. The first brand spotlight is on Starbucks. With over 32 MILLION #Starbucks hashtags & 16.7 MILLION followers you would assume they have a pretty extensive library of creative collateral to choose from to regram and post. They also hit $22.39 BILLION in revenue in 2017. What I'm trying to say here is that a company with so much money & klout is obviously continuing to use stop motion videos in their campaigns for a reason... Marketers, take note! In fact, to prove the effectiveness of stop motion videos from the stats available to on their Instagram page, I went through the past 100 posts and shared my findings with you. Have you noticed for the past week that the Instagram stop motion feature in their stories is gone? I have no clue where it went and why it’s not there anymore, however, I do have a free solution for you! 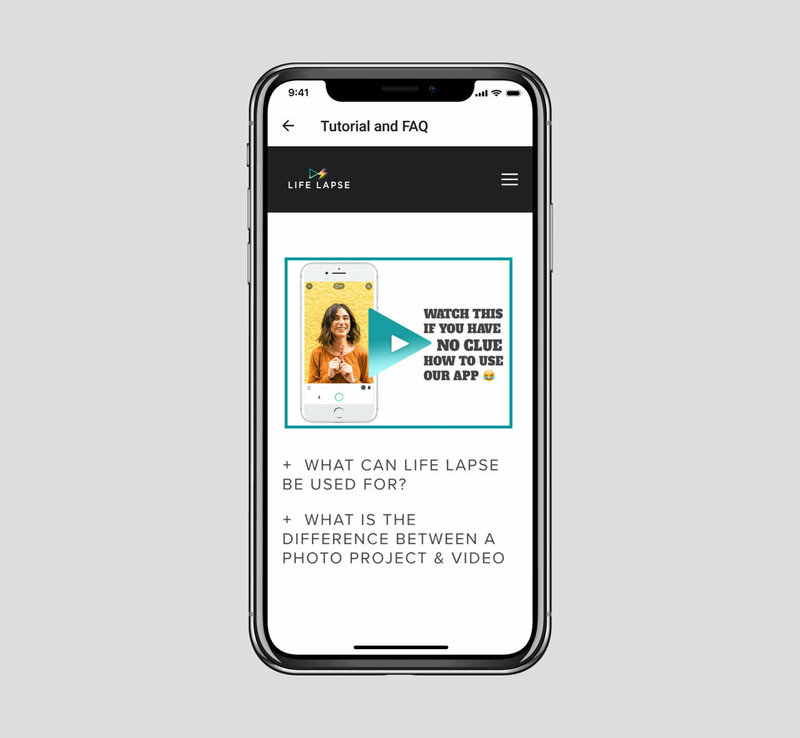 If you'd like to continue creating stop motion videos for Instagram stories, my free app, Life Lapse, is available on Android & iOS and can help you with just that! The simple interface is easy to use, just like Instagram stories stop motion…& BETTER!! Wow, wow, wow. A couple of days ago I was 12,000 downloads from reaching 100,000 downloads with Life Lapse. As I was drinking my coffee this morning checked in to see how far away I was from hitting that mark and just like that, Life Lapse is at 100,214 downloads!!! Life Lapse has only been out for 10 months and I have had a blast working on it. I am so proud that we have reached this milestone. But you know what? 100k isn’t good enough for me. I want to get to 10 MILLION and I need YOURhelp to get me there. When I started Life Lapse, I pictured people only using it for pregnancy time-lapses & travel videos. It’s grown into more of a stop-motion app and I’ve been working hard to improve the features in the app to make it better for this. So why do I need your help? In order to take Life Lapse to the next level, I need to make some major improvements in the app and would like Life Lapsers to dictate what the changes will be. Take the 1 Question Survey! Ahhhh, thank you SO much! I’m pumped to have you along on this journey with me and hope to make you excited to use Life Lapse more. With almost 5 Million #FlatLay hashtags on Instagram alone, it's no secret that this style of showcasing your product is here to stay. Instead of posting a *boring* static photo to your feed/stories, why not bring the products to life with video?! If you're an influencer, brands will love you for going the extra mile!!! In this blog post/ in the video above, I'm going to show you how to create a flat lay video using stop-motion...and guess what?! You don't need a tripod, DSLR camera or computer!! Traditionally with stop motion, you place your camera on a tripod. I understand that everybody may not have access to a tripod and even if you do, it's difficult to get those overhead shots of your product without getting the tripod legs in the shot - unless you have an arm extension on your tripod. That's why I searched around my house for an easy DIY solution for not owning an overhead tripod. The chair & book worked perfectly!!! Once you download Life Lapse, create a new project. You can do this by click on the "+" icon on the top left-hand side of the screen. 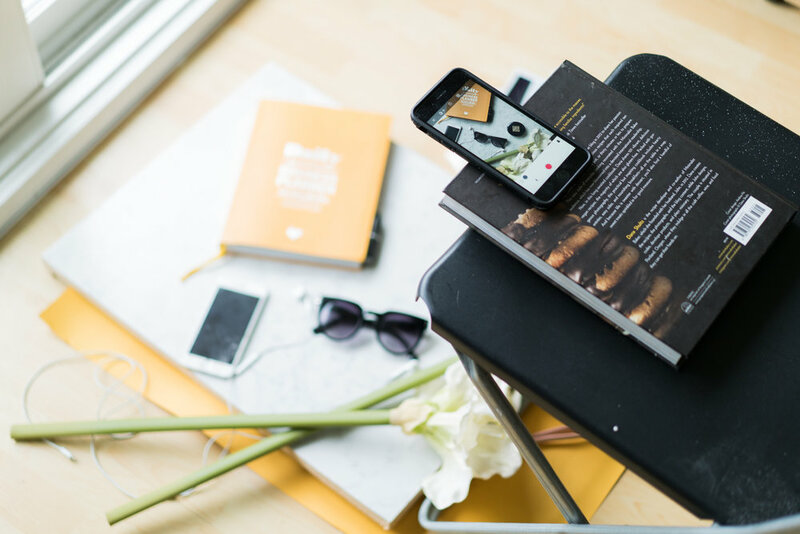 Before you place the phone down on the chair to shoot your flat lay, you need to do a couple of things: lock the exposure, white balance & camera orientation AND set up your timer. You want to get the exposure & white balance on lock-down because you don't want flickering lights/color throughout the video. Especially as you move products in & out of the shot, if the camera isn't locked, the auto settings will be constantly changing. You need to lock the camera orientation because when you put the phone flat down on the book, it may set your project upside down. If you want your video to be verticle, take 1 photo holding your phone upright so the camera icons are upright too. I always tend to use bright colorful bristol boards for my backgrounds which is why when I'm getting that first shot I lock down white balance, exposure & orientation, I point the camera somewhere near the flat lay that has natural colors & similar lighting. The reason I say neutral is because if you point to let's say a blue painting on your wall, it will offshoot the white balance and your video will have a very yellow look to it. That being said, don't just point it to a white ball, cause then it will be underexposed. This may sound overwhelming, but I promise it's easy and you'll get the hang of it once you start shooting! PS. You can lock the White Balance (AWB) & Exposure (EXP) from the top tool bar in the camera of Life Lapse. You will need to swipe right on the tool bar to see Expsoure lock. You'll know it's locked when the icon is locked....*duh*. lol. Once that's done, set up your timer. I recommend doing this because it will allow you to focus on moving your objects without having to go back to the camera each time to take the picture. Also, since we don't have the phone on a tripod, it would be easy for your to accidentally move the phone. We don't' want that. You want the phone to be static in the same spot for the whole duration of your making the video. Otherwise, your video will look sloppy! You can activate the timer in the camera mode. Make sure both timer in the top tool bar are activated. If you have just the timer on the far left activated, it means it will only take ONE photo 10 seconds from now. If you have both, it will take a photo EVERY 10 seconds. This is what you want! You can also customize how far apart you want the photo to take - all the way up to 60 seconds apart. Now that you have all 'yo shiz on lock down, it's time to bring that flay lay to life with video! Place the phone ontop of the book and take your first shot. Once you have the shot, you move your objects A LITTLE BIT in the direction of your choice. If you move your objects too far it will very jolty. That's why you do it little by little, so it looks like it actually moving on it's own. Okay, so once you moved the objects a little bit, wait for Life Lapse to take the next shot - keep an eye on your phone so you know it took....you'll see the shutter go. If you're shooting right beside a window, look outside to see the lighting conditions. If it's overcast or sunny, you're good. If it's sun & cloud - you may want to consider going to a controlled environment to shoot (with a lap), otherwise the lighting may flicker throughout your video. Think about the motion and how it will look if it's looped on Instagram. If it's short you want it to loop nicely! 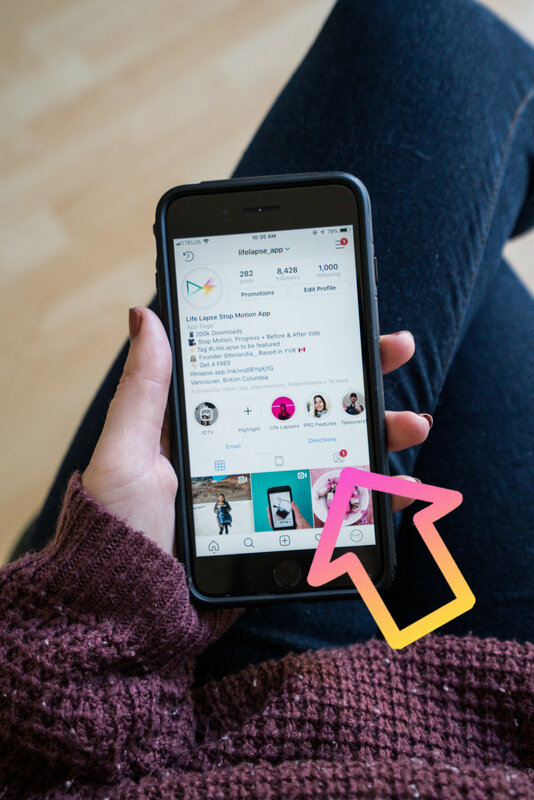 For example, if you start with a blank slate then you have your product come in - if you don't boomerang it - it will look very jolty when it loops on instagram because the product will come in, then all of a sudden it will start from the beginning and go to the blank slate. Show the process of something - i.e. A lipstick container opening and the lipstick coming out. Apply boomerang effect so revereses after and you have a fluid video. Looking around today we see our real world heavily mixed with the virtuality: and not only in terms of entertainment. The virtual objects and environments have grown an essential part of our everyday life and business processes turning as real as the sunlight behind your window. The cutting-edge technologies are capable of improving the most various areas and industries and this would be unreasonable to ignore the promising possibilities. According to Statista forecast, the augmented and virtual reality market size is expected to reach 27 billion U.S. dollars in 2018 (compare with 14.1 billion in 2017) and 209.2 billion U.S. dollars in 2022. Starting from gaming and filming, application of VR and AR has been extending to other to fields as education, medicine, manufacture, social media, tourism, marketing, etc. The results already achieved really impress. Curious to learn, but not sure to be quite good at the distinction between VR and AR terms? We are pleased to guide you step-by-step through the complete range from the natural world to the virtual environment, or through the virtuality continuum. The first point is a real natural world - that is the one we love and live in. The world of our everyday smiles and concerns, global events, and friendly get-togethers. Things and the environment we can touch, smell, feel and interact with without using any equipment required. The moments we experience in the real life are not repeatable or reproducible. This is the key feature that makes our reality quite special. We are here and now. Whether these emotions are touching, funny or absolutely crazy, we shall appreciate them. With this in mind we cannot but mention Lifelapse app that helps us to catch the best moments (or to set them in motion). The next destination point is the Virtual Reality (VR). Things are completely unreal there: predesigned, preprogrammed and predictable (as soon as you are aware of the general idea). The VR world never meets the real one. That is you who are invited to interact with the virtual environment. It brings you outside of your time and state of life. To interact with the virtual environment the user needs special equipment: headsets or goggles connected to PC/mobile device running VR apps and controllers. Taking into account that the VR user does not see real objects, in some cases, space around needs to be adequately equipped to assure the safety. Creating VR apps require special skills and experience. Along with knowledge of 3D tools and SDKs, the developers need to follow the specific UI/UX principles. VR shall have not only a convincing look but sound and movement as well. Every detail needs to be thoroughly elaborated by designers and developers to make the app absolutely friendly for users. To confirm that VR can successfully be used for other than mere entertainment purposes let’s check, for example, the area most critical for the human life - medicine. VR serves as an engaging and motivation solution to limitations during physical and neuro-rehabilitation. VR experience helps to reduce stress and pain immersing the patients into the world where their mind is taken off of the sufferings. In general, VR is especially helpful to smooth over hospitalization period, especially for children. Happy Place offers a virtual space for the user to escape from reality into the exciting camping environment. Happy Place was developed based on research of VR as a tool for pain mitigation. From two extremes we switch to the in-between area. This is referred to as the mixed reality and covers the augmented reality and the augmented virtuality. Whatever complicated it may sound, the difference is evident from the above figure. The augmented reality lies closer to the real environment meaning it is still the physical world but enhanced with virtual objects. As for hardware, required are processor, display, sensors and input devices. Due to accelerometers, gyroscopes, GPS, magnetic sensors, and cameras available the modern smartphones and tablet computers may be used as AR platforms. 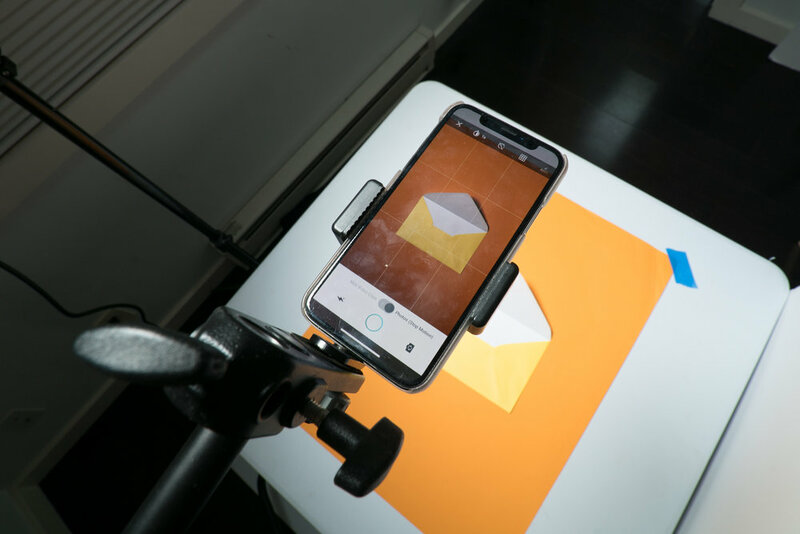 With the sets of software development tools from two major market players: ARKit (Apple) and ARCore (Google) the developers have got the room for implementing the smartest ideas into reality with relatively low time and efforts expenditures. Can you guess? The position is closer to VR, but still in the MR area: the virtual world with the integrated real objects. Bingo! AV requires powerful hardware and software as the input from various sensors has to be processed and channeled to virtuality where the physical object interacts with the virtual environment in real-time. The mixed reality possibilities among others are widely used in marketing and social media as means to attract consumers and keep them engaged. 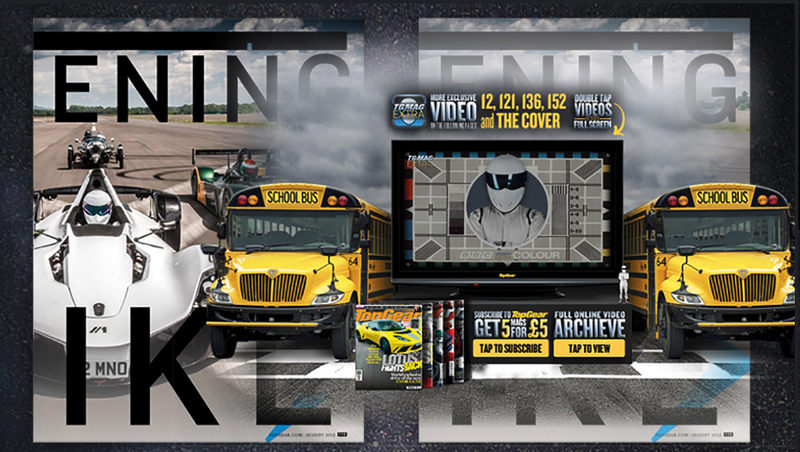 Engine Creative in partnership with Aurasma and Top Gear created the first fully augmented magazine in the world. “We have had tens of thousands of video views. Research has shown us that 50% of our readership has access to smartphones and one in four of those [27%] engaged with the video content, and that was just from the first two editions.” Publisher, Top Gear Magazine. VR and AR application open numerous possibilities, and lots of companies have already started their journey into the augmented and virtual world. The most we can do is to progress along with the global changes. Implementing VR or AR experience and objects into your products will require definite time and efforts, but any challenge exists to be overcome, doesn’t it? Need an experienced developers team to create a VR/AR app? Contact Umbrella IT team right now! There's been a lot of people patiently waiting for this day to come (myself included) and I'm SOOO excited to finally share that Life Lapse is now live in the Google Play store!! This wouldn't be possible without the incredible team at Umbrella Web, who have been my Life Lapse developers since day one, so thank you to the entire Umbrella Web team! I would really appreciate if you could send any feedback directly to me that you may have at hello@lifelapseapp.com. If you're feeling extra generous and want to help an entrepreneur out, I would really love for you to rate the app in the play store as this really helps with getting Life Lapse in front of more eyes! Cheers & can't wait to see what you create using #LifeLapse!! !